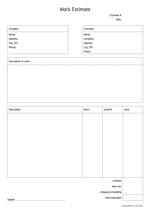 Weekly emplotee timesheet on an A4 size paper in a vertical, portrait orientation. 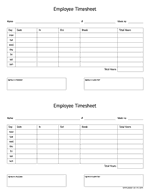 This double timesheet helps you track work hours so you can see what your employees are working on. 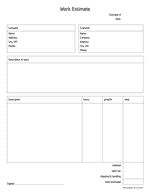 Weekly emplotee timesheet on a letter size paper in a vertical, portrait orientation. 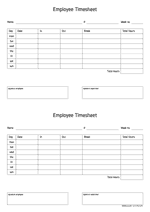 This double timesheet helps you track work hours so you can see what your employees are working on. Work estimate on a letter size paper in a vertical, portrait orientation. Prepare your job schedule and costs with this blank work estimate. Work estimate on an A4 size paper in a vertical, portrait orientation. Prepare your job schedule and costs with this blank work estimate.